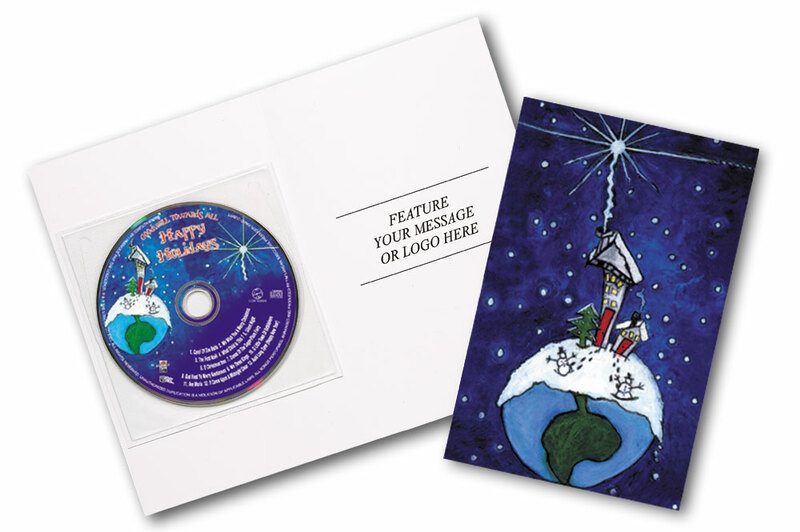 Personalized Vocal Pop Music or Christmas CD's with Custom Greeting Cards. Promotional, Inexpensive. Budget Prices in America. 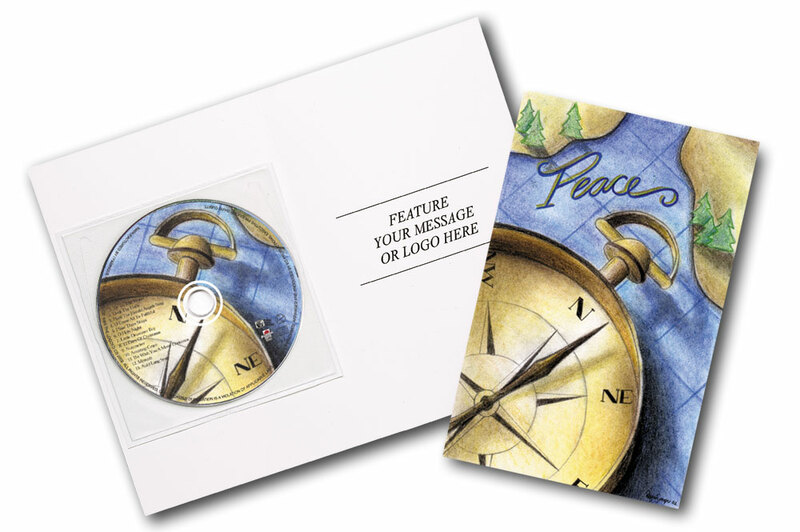 CD Greeting Cards are the perfect gift combining a greeting card with a complementing CD. Have your 1-4 color imprint on one of our stock greeting card designs. Included is a matching CD with a 1-4 color imprint of your logo held securely in a reusable, protective, adhesive vinyl sleeve. Free artwork design. We will send you a proof for your approval before production. Christmas International Music (Charlotte Diamond), Christmas French Music (Claire Scott), etc. A huge selection of non-Christmas music is also available at the same price: Songs for Chanukah, Country Music, Jazz Music, Music of the 50's, 60's, 70's, 80's and 90's, etc. Famous singers. There is no royalty for instrumental CD`s.